Every day, all across America, good ideas are converted into tangible inventions and products that solve problems large and small and lift our quality of life. Do you have a good idea yourself? Maybe you’ve even developed it into a proof of concept or prototype. The next step you should consider is how you can protect what you’ve created. Patents are issued by the United States Patent and Trademark Office (USPTO). They give their owners the right to exclude others from making, selling, offering for sale, or importing an invention protected by the patent. While getting a patent is a complex undertaking, here are five steps and resources to get you started on the road to protecting your invention. Pre-filing – Before submitting a patent application, you need to do some homework. The basic premise of a patent is that it protects something that has never existed before. Try determining, to the best of your ability, if your idea already exists by performing a basic patent search. File a Provisional Application – The Provisional Application for Patent is one of the most popular ways for entrepreneurs to get their foot in the patent door. The provisional application is not a patent, and it does not provide actual legal protection. What it does is guarantee you a filing date with the USPTO and the ability to use the term “patent pending” as a warning to would-be infringers. The provisional application will give you a year (you can get another year through the missing parts pilot)— to test the marketplace, gather investors, and figure out your next move. After that, you’ll need to file a corresponding nonprovisional application. It also costs just $65 for micro entity filers. What’s “micro entity”? Keep reading! Micro Entity Status – following passage of the America Invents Act (AIA) in 2011, the USPTO created a special filing status for inventors who qualify as a micro entity. This provides a 75 percent reduction in most patent-filing fees. There’s also a small entity status that reduces the fees by 50 percent. Pro Bono and Pro Se Programs – The AIA also directed the USPTO to create a pro bono patent legal assistance program. 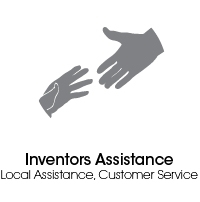 This is a nationwide network of patent legal organizations and firms that work together to provide free legal assistance for qualifying inventors. The USPTO has just launched the Pro Se Assistance Program, a comprehensive pilot to assist those applicants who file for a patent without the help of an attorney, or “pro se” filing. Take advantage of these programs and get expert advice and service from dedicated professionals. Patent Maintenance Fees – Every applicant should be aware from the outset that once a patent is issued there will be fees due three times during the life of the patent. Maintaining your patent is important if you want patent protection before the patent term expires. As with application fees, maintenance fees are greatly reduced for those who qualify for small and micro entity status. The USPTO stands ready to assist independent inventors, small business concerns and university affiliated inventors through its Office of Innovation Development (OID). The office works closely with other officials and agencies throughout the government in support of the administration’s efforts to promote small business, entrepreneurship, and job creation. For more information on patents and how the USPTO can help inventors and entrepreneurs, visit the USPTO website today.